Isn't that a catchy name? It is and so is this cookbook with its style- the presentation of recipes, the colors this books is laden with and the way this cook book is written. Actually, it is more than just a cookbook. I have been writing book reviews and sharing recipes of food I make/experiment with on this space for quite sometimes, so I thought, it would be good idea to do reviews of the cook books I often buy/pick up from the library. 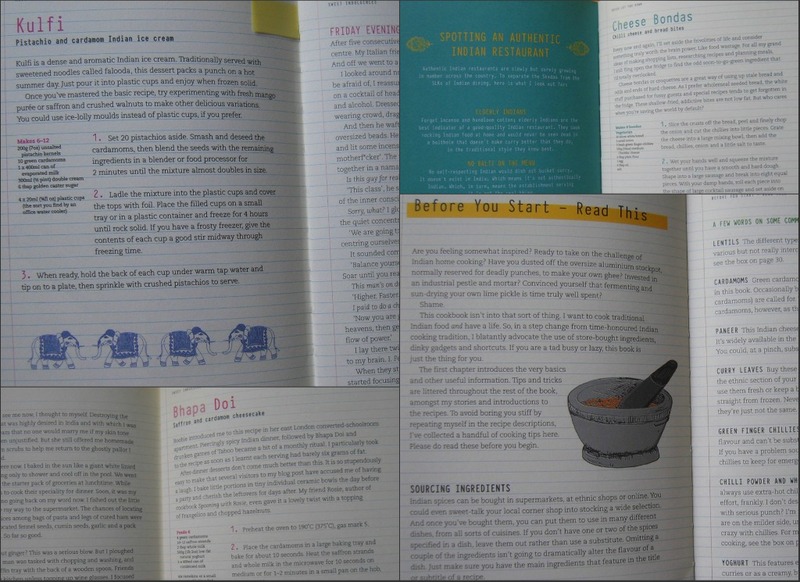 And here I am with my first cookbook review on this blog and let me tell you, I am finding it a more daunting task than my usual book reviews. I believe, one can't review a cook book just by reading it, one has to actually try a couple of recipes to actually see how they work. 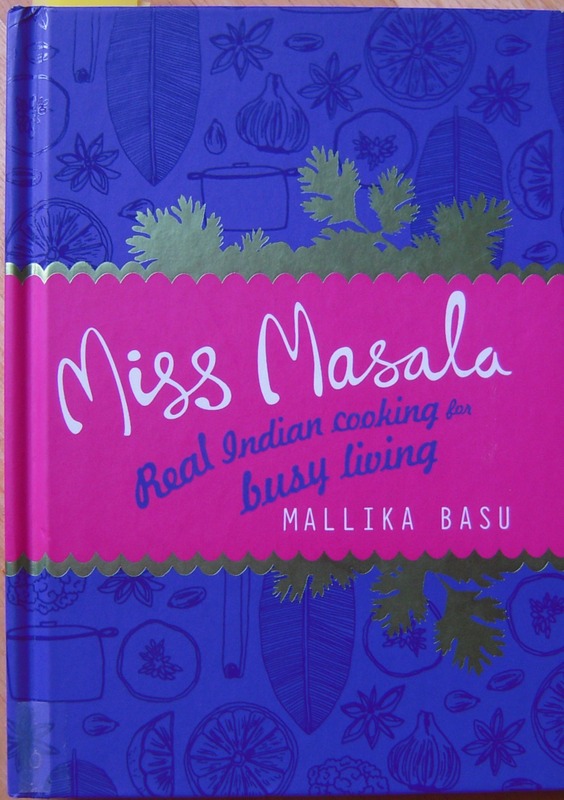 Miss Masala by Mallika Basu has a very balanced content of both vegetarian and non vegetarian recipes. Since, I am a vegetarian my views are based on the vegetarian content only. Unlike, many other Indian cookbooks which are published in the west, Miss Masala has a wide range of Vegetarian recipes which is a delight for me. From the comfort food like Aloo Gobhi, Tadka Dal, Rajma, Channa Masala, Matar Paneer to the exotic Navratan Korma, Paneer Butter Masala, it has an array of recipes to please your palette. Even street food like Pav Bhaaji, Pakora, Chaats etc finds a place in the menu, not to mention the variety of Indian breads, side dishes, chutneys and sweets. Just as is mentioned on the cover of the book - 'Real Indian Cooking for Busy Living', the author shares tips on quick Indian cooking, from what pastes and sauces can be made and freezed for later use, to which dishes can be prepared in bulk and deep freezed to be eaten later. This book has everything a new and inquisitive beginner in Indian cooking needs: glossary of spices, gadgets and utensils needed etc. The book is very colourful and is presented in the style of a notebook. The author has also shared anecdotes about her cooking experience. Her writing style and the way this cookbook has been formatted seems to be reflective of her personality- smart, charming and witty. Only thing I would have liked to change would be the author's persistent banter about her fear of getting drunk even before entertaining her guests! 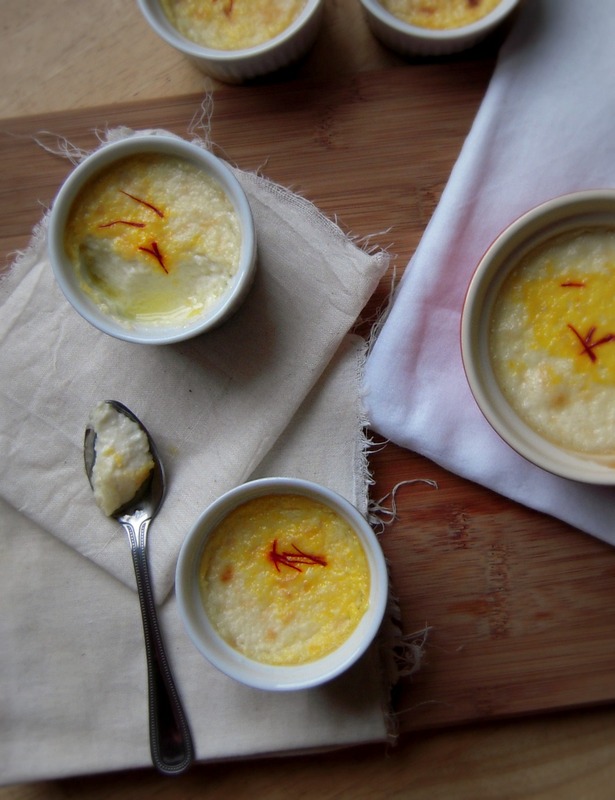 I have tried two dishes from this book, Kulfi and Bhapa Doi (recipes to follow in later posts) and I am satisfied with the results. 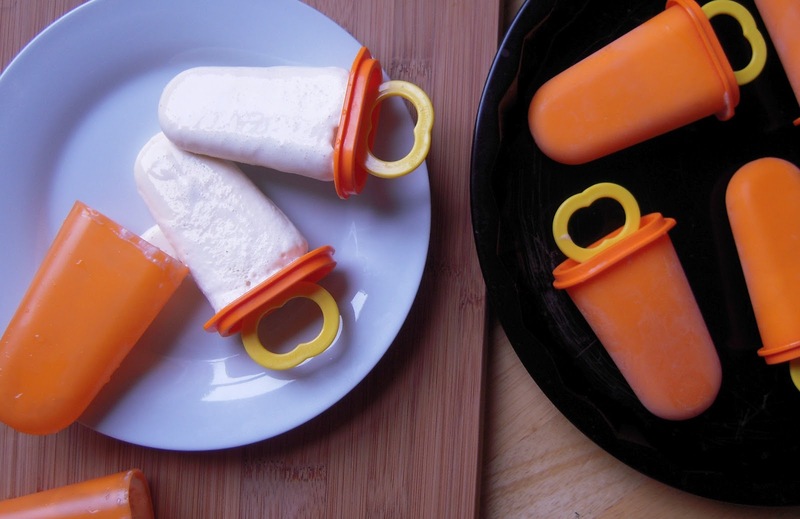 I am very much looking forward to trying her Cheese Bonda and Naan recipe. As the author is Bengali, I was expecting to see a quick recipe for the famous Bengali sweet- Sandesh. But, there I was disappointed. Also, had there been more pictures in the cookbook, I would have liked it more. For anyone interested in learning Quick Indian Cooking, this book is a good choice. Very flattered that you took the time to review my book. It would never have happened without the support I've had from my friends on the blogosphere. I hope you tried other recipes - and I'll try and make sure I get sandesh recipes into the next book!